Considering investing in real estate? Here are 5 things every Partner Physician should know before making the leap! - Eagle West Group, Inc. Considering investing in real estate? Here are 5 things every Partner Physician should know before making the leap! In Southern California, real estate prices are a constant topic of conversation. That’s true whether we’re talking about our own rising home values, how our kids will ever afford to live where we do, or wishing we simply owned more than we do. It’s no wonder I get so many questions from KP Physicians about investing in real estate! Many people think of investing in real estate only as buying rental or commercial property, such as an office building or a strip mall. Both of these options require a hefty investment and personal involvement in the management and maintenance of the property. Another way to take advantage of real estate opportunities is to invest in a REIT (Real Estate Investment Trust) —a company that owns (and often operates) income-producing real estate. Much like a mutual fund offers investors the ability to invest in pieces of select stocks rather than having to pick individual stocks, a REIT opens the door to investing in the portfolio someone else owns and operates, eliminating the responsibility (and potential headaches) of doing so yourself. Whichever option you choose, it’s important to understand exactly what you’re signing up for when you invest. Often called a cap rate, this is a measure of how much you are making from a property in relation to how much it is worth. To calculate the cap rate, simply subtract all expenses (except for mortgage payments) from the rent received, then divide that number by the current value of the property. Because the cap rate is a good proxy for risk, it is often one of the first numbers to consider when assessing a property. A property with a very stable tenant will often have a low cap rate, while a property with high turnover, tenants who leave unexpectedly, or tenants who don’t pay the rent on time will typically have a higher cap rate. REITs pay out 90% of their cash flow as dividends to investors. (These dividends are also used to determine the REITs cap rate.) REITs can appreciate or depreciate in price, and their dividends can also fluctuate. The National Association of REITs has been tracking REIT performance since 1972. This extensive performance data shows that REITs have performed similarly to the S&P 500, but that the returns have been 50% more volatile. (Volatility is never a good thing when investing!) However, as is true in all investing, “past performance is no indication of future results,” and there is no way to predict how REITs will perform in the future. Which is better: a REIT or direct property ownership? Every investment decision should be based on your personal financial situation and long-term plan, so it’s always best to discuss the option with your advisor. Buying property is a tricky proposition. While it may be possible to see significantly higher returns while investing very little of your own time, it is also possible to have a terrible tenant (even one you thought would be great) who drains your time and your wallet. And though REITs take the personal involvement out of the equation, they too have their pros and cons. To learn more, check out the Forbes articles Data proves REITs are better than buying real estate and Buying rental property vs. investing in a REIT. Can I buy real estate in my 401(k) or Keogh? The simple answer is no. But while you can’t buy real estate directly in your 401(k) or the Keogh, REITs are available as components of several funds within the plans. The Keogh allows you to buy REITs directly using the PCRA option. Your financial advisor can help you set this up in your existing plan. Are there tax benefits to owning real estate? While there aren’t really any tax benefits to owning a REIT, investing in property directly through the purchase of rental of commercial property may offer several tax benefits. In many cases, you may be able to deduct your real estate expenses from your real estate revenue. You may also be able to use tax rule 1031 to sell your property and buy a similar one without having to pay capital gains tax. IMPORTANT NOTE TO PARTNER PHYSICIANS: The new tax laws may impact how real estate income affects your Qualified Business Income deduction in 2018 and beyond. Always consult a tax professional before buying real estate directly, and talk to your financial advisor to explore the implications to your financial plan. 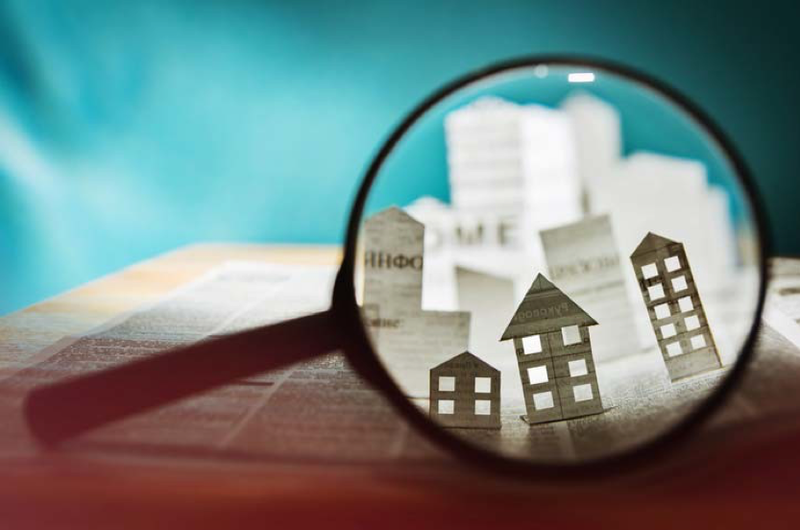 Real estate investing is a complicated endeavor but there are several resources to help you make the right decision for you. The website biggerpockets.com is frequently my first stop when I have a question and their free section is quite robust. Your financial advisor is also a great place to start the conversation. Not only can you advisor help evaluate whether or not an allocation to real estate is appropriate given your financial plan, but many of us have access to additional resources to help pave a smooth and hopefully profitable path down the road of real estate investing. Eagle West Group is a member of the Schwab Independent Advisor Network and has no affiliation with Kaiser Permanente.